One of the most searched recipes on the Tortilla Channel is not a tortilla recipe. One of the most searched recipes is the vegan banana muffin recipe. As all love muffins as much as I do, I am sharing another one of my favorite muffin recipe. Without any egg or dairy like butter or milk but still light and fluffy. This post is made possible with the ingredients of Body & Fit shop that has a great number of fitness and wellness products. 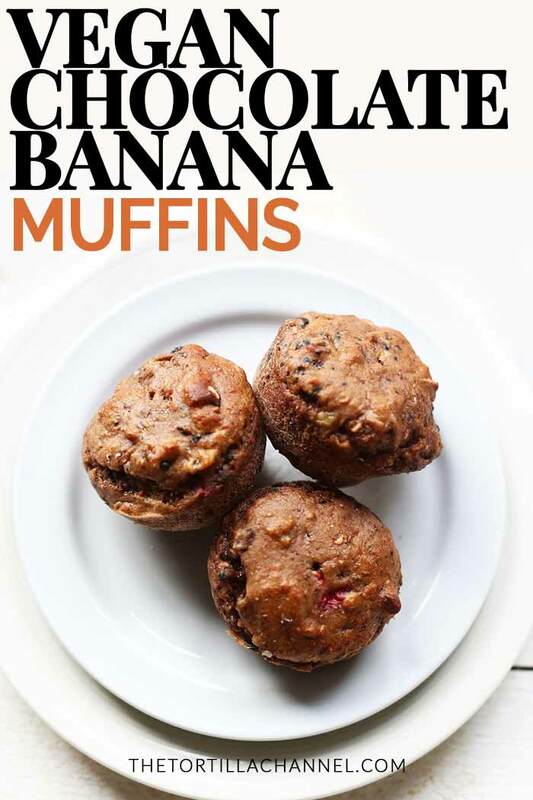 This vegan banana muffin is made with a flaxseed egg replacement. Flaxseed when mixed with water will get a gel like consistency and will bind the muffin ingredients. Grind flaxseed into a flour using a coffee grinder 1 tbsp of flaxseed flour plus 2 to 2½ tbsp of water replaces one 1 egg. 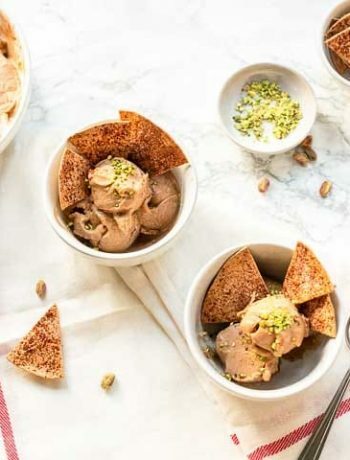 This recipe uses the magic egg replacement ingredient called aquafaba. I hear you thinking aqua what? What is it and where do I get it? Well chances are you already have a lot of aquafaba in your cupboard. Aquafaba comes in cans of beans like chickpeas, kidney beans, black beans, red beans, cannellini beans. Just drain the can and preserve the liquid. The next likely question is, will my sweet muffin taste like beans when I use aquafaba? Simple answer is no, it will not. 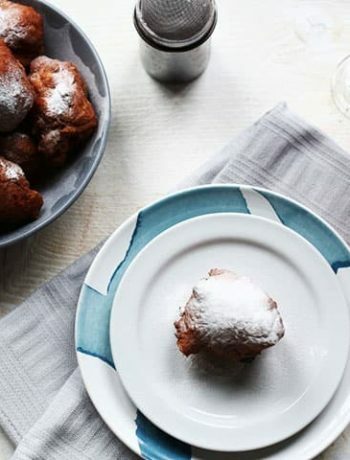 The liquid has a distinct taste but as the ingredients combine and will be baked the muffins will fluff up due to the aquafaba but will not take on the taste. I have been so amazed by the results of baking with aquafaba and I do not miss eggs in my muffin recipes. With a hand mixer you can turn it into whipped egg white without egg, use it in a mereng or you can use it for eggless mayonnaise. About 3 tbsp of aquafaba equals 1 egg. Before you start this muffin recipe pre heat the oven at 375℉/180℃. 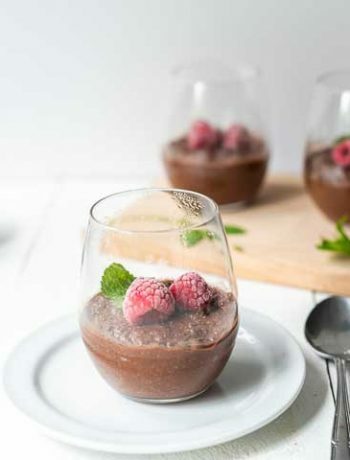 First you combine all the dry ingredients the spelt flour, baking soda, baking powder, salt, stevia and chocolate protein powder in a large bowl. Whisk the ingredients thorough before you set aside. Then mash the bananas finely into a banana sauce. Whisk the aquafaba in a small bowl. Add the apple sauce, vanilla extract and aquafaba to the mashed banana and stir. Now add the wet ingredients to the dry ingredients stir into a smooth batter. Chop the pecan nuts fine and stir it into the muffin batter. Then smash the Oreo cookies and add these to the batter as well. Lastly add the raspberries to the mix. This recipe yields about 12 muffins so put the batter into a muffin tin. Bake for 20 minutes or until a large toothpick comes out clean. Let the muffins cool before you remove the muffins from the muffin tin. Cookie jar – want to eat these chocolate banana muffins within two days put them in a cookie jar that you can close. The muffins will dry out so make sure you put the lid on tied. Refrigerator – to preserve them longer than 2 days but less than 4 you can store the muffins in the refrigerator. Store them in a plastic zip loc bag because even in the fridge your muffins will dry out. Freezer – want to store them longer and eat when ever you like. Put the muffins in the freezer, also in a zip loc bag. Take them out of the freezer on time to make sure you can eat them. I use these two ingredients a lot in sweet recipes as well as apple sauce my favorite substitute for butter in my cake recipes. In my opinion you can never have too much banana and chocolate but today I am switching it up just a little bit. If you love muffins you sure have to give these ones a try. 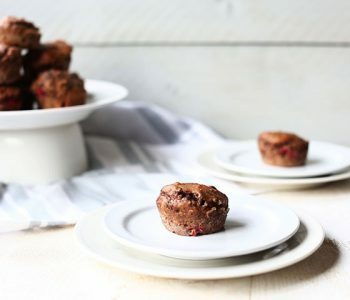 Have fun trying this vegan chocolate banana muffins recipe! Made a recipe tag @thetortillachannel on Instagram or PIN to Pinterest. 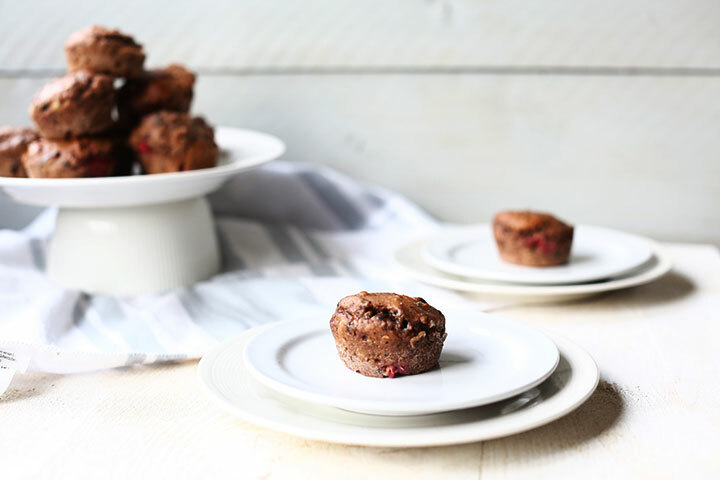 Easy vegan chocolate banana muffins with raspberry, oreo's and aquafaba egg replacer. Delicious and fluffy. Lets get started!